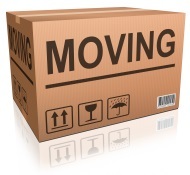 Relocation is indeed a very important aspect that tends to arise with instances of divorce. It basically refers to the post separation process whereby a parent decides to move (or relocate) from the region in which he/she previously raised their children with their partner. As expected, one parent moving a distance away from the other is bound to cause problems – particularly concerning shared custody. One of the primary reason this is such a disputed issue is that it is not clearly addressed in family law; in other words there is no concrete structure to enforce it by as we see with other issues that are addressed in legislation such as the Family Law Act 1975 (Cwlth). On what basis do Courts allow relocations (one parent plus children)? As previously stated, there is no fixed law concerning when to facilitate relocation – instead it comes down to the courts assessment of the facts of the individual scenario. This concept particularly stems from S60CC of the Family Law Act and aids in prioritising the wellbeing of the child in decisions made. In S60CC there are two types of considerations which must be taken into account when regarding the “best interests of a child”; Primary and additional circumstances. “ the benefit to the child of having a meaningful relationship with both of the child‘s parents”.2 Therefore regarding this concept in terms of relocation it is important that moving the child to the desired region does not impede their ability to connect with their other parent. An example of such an case occurred in Sigley & Evor.3 Here a mother wanted to move from southwest Queensland to north Queensland and thus a considerable distance away from the father. However the father initially accepted spending time with the child every second weekend. Thus the court took this into account and determined that the move would not negatively impact the meaningful relationship the child would have with their father as it would still be a practical task to make the visit every second weekend as agreed upon. “the need to protect the child from physical or psychological harm from being subjected to, or exposed to, abuse, neglect or family violence”.4 This consideration may indeed work for a parent in being granted a right to move their child – particularly if he/she can show that it is best for the child to live at a far distance from their other parent to protect them. 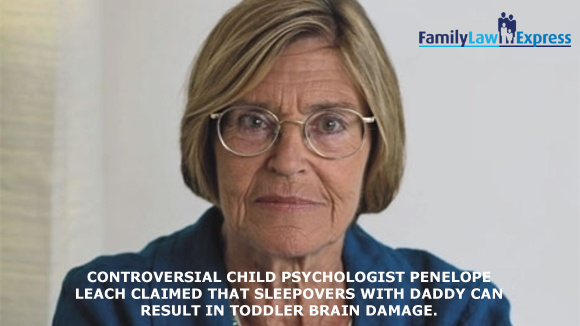 This is highly regarded in instances of past abuse toward the child from a parent. 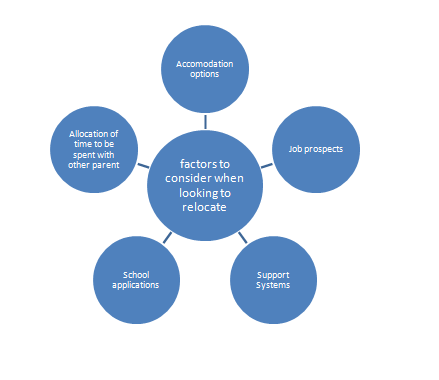 Additional considerations are also taken into account for relocation and revolved around concepts such as the maturity, views, culture and relationships of the child.5 Thus relocation’s consequences must be assessed on the holistic wellbeing of the child – the move must not interfere with their development drastically. Obviously the issue of practicality coincides directly with this issue of relocation as a matter of distance is now involved hence interfering with exactly how practical it is that a child should be seeing each parent equally. Therefore, an expected result from this is that it has now become a tough task to stand in the way of a parent choosing to relocate. 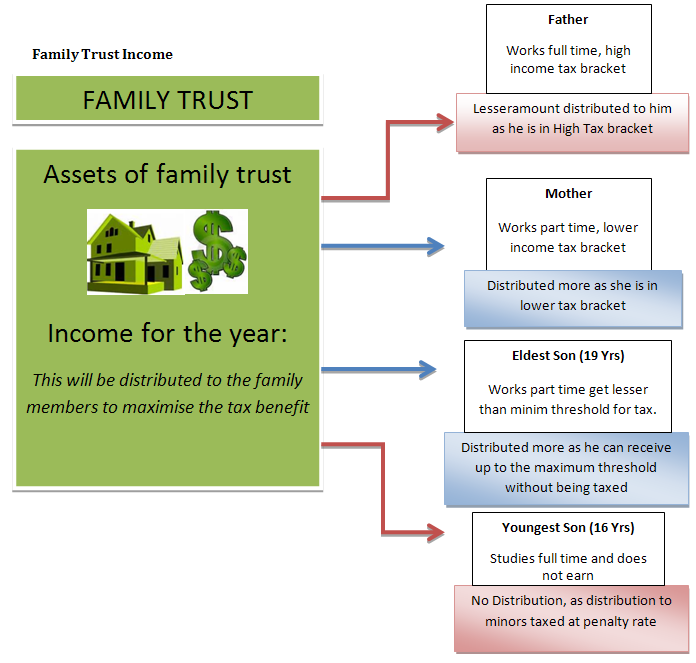 Although some say relocation is akin to the lottery, there are guiding principles, including the status quo, the involvement of the other parent in the parenting, technology and phone contact, the happiness of the moving parent, whether the moving parent has family in the pre-move location, whether they have family and/or a new relationship in the new location, whether there are other children involved in either current or new location, and the financial implications or career implications of a move. There are a number of points a court considers when regarding relocation particularly the reason for moving; for instance the financial state of a parent. For instance there may be a scenario where one parent seeks to relocate simply because the area they currently live in has become expensive on them to raise a child. Again the best interests of a child come into play here and what is best for their upbringing takes priority. Another common reason for relocation is the parent’s mental state; i.e. suffering from depression or otherwise not being happy with their current state of life (they may want to move closer to their family). Evelyn Bender (Federal Magistrate at the time), in a Judgement handed down in Melbourne raised a particularly notable point in that there is a need by women to “start fresh” after a divorce which would, in most cases, mean moving out of town. A court here would have to consider whether the mental state of a parent would impact the child’s upbringing – or in other words asking; to what extent would the state of mind of the parent affect the child’s development? An example of such an instance occurred in the case of Hepburn & Noble where the mother was depressed remaining in her home in Wollongong and instead desired to move to Victoria for another relationship.8 The court allowed this and allowed her children to move with her. Keep in mind that the court also has to determine whether the desired move would substantially impact the other parents’ relationship with the child. Moreover, the court will also assess the technology available to parents in order to maintain their relationship with the child in event of relocation. A growing trend within the Family Law Courts has been the willingness to accept the notion that the use of communication technologies can foster and maintain meaningful relationships between parent and child who may live long distances between each other. In a previous decision, Margaret Cassidy (Federal Magistrate at the time) granted an international relocation request on the basis that Skype was to be used with toddler twins. This is pivotal as some relocations are over vast distances (even between countries) and therefore the court would be very hesitant in disrupting the status quo – or more simply put the continual relationships between the child and both parents IF it already clearly exists. A notable case is addressing this is U and H  FCWA 128. Here the mother wanted to relocate with her son from Western Australia to the UK to pursue a relationship; the father opposed this despite not living in Western Australia but instead living and working in China. He argued that Western Australia was a very practical location for both himself and his wife to sustain a relationship with the child as opposed to the UK (which was considerably farther away from China). As mentioned, the status quo needs to protected as much as possible; particularly after a divorce as the court seeks to minimise its impact on the child – i.e. operating in a child’s best interests. 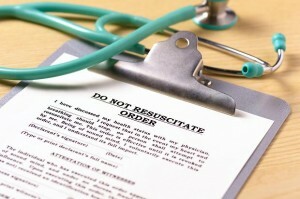 A ‘DNR order’ (Do Not Resuscitate) is a medical order to withhold cardiopulmonary resuscitation (CPR) techniques. 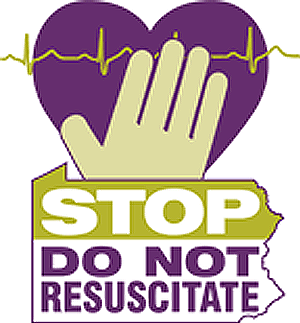 Various terms have been used to describe such an order including ‘No CPR’, NFR (not for resuscitation), NFAR (not for attempted resuscitation), DNAR (do not attempt resuscitation), and AND (allow natural death). Such an order informs the health care team that in the event of a cardiac arrest, cardiopulmonary resuscitation will not be conducted.1. Measures will then be provided to promote comfort during the dying process. Given the seriousness of the consequences of a DNR order, various guidelines have been issued in Australia with the aim of supporting health providers, patients and their families during this process. In particular, doctors play an important role in the provision or withholding of resuscitation treatment in nearly all situations – where a DNR order exists, doctors play a critical role in assessing its validity; and where a DNR order does not exist, doctors assess whether the patient has capacity to make such decisions, and if not, who is authorised to participate in the making of such decisions on the patient’s behalf. This research has revealed that Australian patients are at risk of being killed or saved when they do not want to by doctors who do not understand laws regarding the withholding and withdrawing of life-sustaining medical treatment. This research was based on a survey of 867 Australian doctors and found ‘‘critical gaps’’ in their legal knowledge that could expose them to criminal charges including murder, manslaughter or assault if they act against a patient’s wishes. Given the significant consequences of a DNR order and the importance of preserving patients’ rights to individual autonomy and bodily integrity, it is imperative that the medical profession has a sound understanding of this area of law. Equally important is awareness amongst the public regarding one’s right to make such decisions or appoint substitute decision makers to act on their behalf, and availability of the courts as a forum for dispute resolution should issues surrounding DNR orders arise. Part 2 and 3 below attempts to shed light on this topic by discussing the laws regulating DNR orders in the various states and territories in Australia. PART 2 : HOW TO MAKE A DNR REQUEST? Common law and legislation in some states allow for an individual to make an advance health directive, which effectively informs the patient’s health team regarding the care the patient would like in the future should the patient become unable to make medical decisions. It can cover the withholding of CPR. The common law and various state legislation governing such a directive are discussed in Part 3. In the event that a DNR order does not formally exist, two possible situations arise. The patient can refuse resuscitation given the patient is competent and has capacity. This common law right to refuse treatment resonates with notions of protecting an individual’s autonomy. This refusal of treatment will be determinative regardless of whether or not the doctor finds CPR could be beneficial. The second situation arises where the patient is unconscious or otherwise found not to have capacity to make medical decisions. Such situations are often complicated by the role of the medical profession, who at times play a more active role in advocating a DNR request on behalf of the patient. In such cases, guardianship legislation in each State plays a vital role. Legislation provides that substitute decision-makers will be involved in the decision-making process. A substituted decision maker could have been either formerly appointed by the patient whilst the patent was conscious and had capacity, or by default mechanisms as specified in state legislation. The ability of substitute decision makers to refuse resuscitation on behalf of the patient is discussed in Part 3. It is also important to note that in all states and territories, dispute resolution mechanisms exist to resolve disputes surrounding a DNR order. The available forums include the respective State tribunals or Supreme Courts that exercise parens patrie jurisdiction. Parens patrie jurisdiction effectively enables the Court to make decisions in relation to adults who lack capacity. The law in Australia regarding DNR orders is found in both common law and legislation in the various states and territories. While common law remains constant for all states, the legislation varies. For an advance directive to be valid, the adult must be competent and must have acted without undue influence in making the directive.The advance directive will operate when the adult no longer has capacity to make decisions about medical treatment. Australian states and territories have enacted non-uniform legislation governing DNR orders. The proceeding discussion will focus on laws surrounding a person’s rights and rights of those acting on his/her behalf to refuse CPR in Australia. This paper will focus primarily on laws in Victoria, New South Wales and Queensland and offer a brief overview of the laws in the remaining states and territories; South Australia, Western Australian, Tasmania, Australian Capital Territory and Northern Territory. The Medical Treatment Act 1988 (Vic) 9 states that an adult can complete a refusal of treatment certificate, which extends to refusing CPR. However, an adult’s ability to refuse treatment in such a certificate is limited to refusal that relates to a current condition of the adult. However, it appears that a person responsible does not have power to refuse treatment such as CPR under the Medical Treatment Act 1988 (Vic). There are two ways that an adult can appoint an agent. Firstly, an adult can appoint an enduring guardian.16. The powers of an enduring guardian will depend on the nature of the appointment similar to powers of a guardian appointed by VCAT discussed above. Secondly, an agent can be appointed under the Medical Treatment Act 1988(Vic) pursuant to an enduring power of attorney.17. An agent under an enduring power of attorney can refuse CPR on behalf of the patient. TheGuardianship Act 1987 (NSW) allows a “person responsible” to give consent to medical treatment on an adult’s behalf.20. The Guardianship Tribunal in NSW may appoint a plenary or limited guardian.23 Similar to Victoria, the ability to refuse CPR depends on the nature of power conferred to the guardian. The Guardianship Act 1987 (NSW) allows an adult to appoint a guardian (known as an enduring guardian).24 The ability to refuse CPR depends on the nature of power conferred. The relevant legislation is the Powers of Attorney Act 1998 (Qld) and the Guardianship and Administration Act 2000 (Qld). If there is none who is readily available and culturally appropriate from the list above, the Adult Guardian is the adult’s statutory health attorney.[30. Powers of Attorney Act 1998 (Qld) s 63]. The Adult Guardian is a statutory official. QCAT is empowered to appoint a guardian on behalf of an adult who lacks capacity.31 Similar to Victoria and NSW, the ability of the guardian to refuse CPR on behalf of an adult depends on the nature of powers conferred. The relevant legislation in SA is the Consent to Medical Treatment and Palliative Care Act 1995(SA) and Guardianship and Administration Act 1993(SA).TheConsent to Medical Treatment and Palliative Care Act 1995(SA) allows an adult to make an advance care directive, which covers the withholding of CPR. A direction can only operate if the person is in the terminal phase of a terminal illness or in a persistent vegetative state.Similar to the states above, The Guardianship and Administration Act 1993 (SA) provides for the appointment of a guardian by Guardianship Board of South Australia, enduring guardian by an adult, and substitute decision-maker. 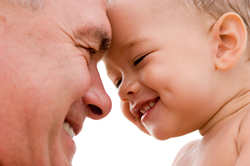 The relevant legislation in WA is the Guardianship And Administration Act 1990 (WA). The Act allows an adult to make an advance health directive, which covers the withholding of CPR.Similar to the states above, the Act provides for the appointment of a guardian by the State Administrative Tribunal, enduring powers of attorney or enduring guardian by an adult, and substitute decision-maker. Advance directives are regulated solely by common law. Similar to the states above, the Guardianship and Administration Act 1995 (Tas) provides for the appointment of a guardian by Guardianship and Administration Board, enduring guardian by an adult, and substitute decision-maker. The relevant legislation in NT is the Advance Personal Planning Act 2013 (NT). The Act allows an adult to make an advance care plan, which could cover the withholding of CPR. The relevant legislation in ACT is the Medical Treatment (Health Directions) Act 2006(ACT). It allows an adult to make a direction to refuse, or withdraw CPR. A child contact centre is a place co-parents can bring their children for change-overs or visitation. It serves as a neutral and safe environment for separated families. Child contact centres provide rooms with toys and games for visitation. They also have trained staff for the supervision of visitation. Staff can also help facilitate change-overs if needed. If the situation requires, staff can completely handle the change-over process, removing the need for co-parents to meet. Who can use a child contact centre? A court may sometimes order change-overs and visitations to be supervised. This could be due to a history of violence between separated families. In cases such as these a court will usually order visitation and change-overs to be supervised by a child contact centre. Co-parents can also use child contact centres voluntarily, without a court order. Co-parents can use child contact centres regardless of whether they have been married or not. How long can you use a child contact centre for? If a court makes an order for supervised change-overs or visitation then you must do so for the specified time period. If you are using the services voluntarily, the centre will advise you on whether they think the relationship between parties has improved enough to not require the use of a child contact centre. You should also note that there may be a significant waiting period before services become available as demand is fairly high. Where can you find a child contact centre? Child contact centres are run by a number of organisations. Many of them are government funded and can subsidise fees 1. Child contact centres can be found in Bankstown, Blacktown, Fairfield, Liverpool, Macquarie, Newcastle, Penrith, Sydney and other major city centres. It may be useful to contact other centres if your first choice has a long waiting period. 2. Child contact centre fees are usually split between co-parents unless a court has ordered that one party pay all the fees. 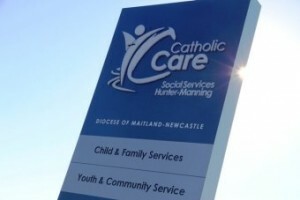 Some child contact centres charge as little as $10 per hour to use their facilities 3. Other centres will charge around $15 an hour for supervised visits or $10 per change-over 4. Please be aware that some services require additional fees for initial assessment. If you do seek the services of a government funded child contact centre and you are suffering financial trouble then you may be eligible for subsidised fees. It is advised that you speak with your service about your financial situation during your initial consultation. Using a child contact centre can benefit all parties involved. For the co-parents, it can help to avoid arguments during the change-over process as it is supervised and the co-parents do not necessarily need to make contact with each other. This is particularly helpful if the co-parents are not on speaking terms or if there is a history of domestic violence. For the child, it allows a peaceful transition in a situation that can be daunting. The toys and games provided create a fun environment for the child to enjoy their visitation and their safety is protected by qualified staff. The child’s well-being should be the primary concern and a child contact centre can provide the services to achieve this. 2. 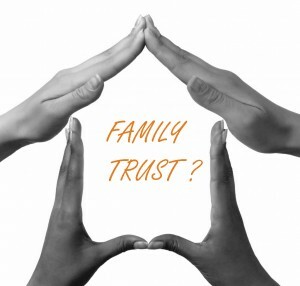 Family violence is defined in the Family Law Act as “violent, threatening or other behaviour by a person that coerces or controls a member of the person’s family, or causes the family member to be fearful”- how does the psychology industry view such definition? Is this a conventional explanation of family violence that must be applied in a family report, if applicable in the circumstances of the case? Because fear is an internal subjective state not readily tested, and readily feigned, it becomes possible to use just about anything to raise a claim of family violence, provided the claimant states that they are afraid. One major issue for men so accused is that it shifts the locus of the crime from the actions of the alleged perpetrator to the internal state of the putative victim. It removes a barrier to criminal prosecution by bringing a civil standard of proof into what historically has been a criminal domain, allowing what is effectively a person-specific law to be written that can later be enforced with criminal sanctions, based on a burden of proof that is far below the usual criminal standard. Furthermore, because stereotypically men should not be afraid of women, it makes the bar much higher for them to establish the criterion, than it is for women – so long as stereotypes are not weeded out as sources of ‘information’. The net effect of such allegations is that a report writer is in the position of having to determine the extent to which a person really is afraid, or whether false claims of fear (and other things) are being used to gain leverage in the family law proceedings. As the usual process is for the report to be done prior to determination of the facts of the matter, this creates a contradictory situation where the reporter skates around the edge of ‘facts’ without making any determinations, as by definition this is up to the judge. This is a procedural issue that I will come back to later. For the moment, it is worth noting that from scientist-practitioner point of view, stereotypes about violence have found their way into reports where there is a male/perpetrator female/victim slant that is inconsistent with the science on the topic, which suggests that while this slant is a majority of cases, the majority is closer to 50% than to 100%. 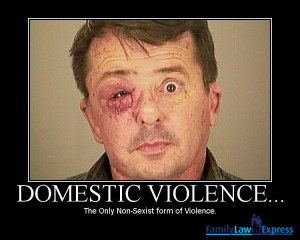 Unfortunately the view that domestic violence is something that men do to women and not the reverse is still pushed in the more feminist corners of the tertiary education which many report writers receive, and getting past this bias to understanding what is going on from an evidence-based perspective can be challenging, requiring a significant degree of self-reflection that is not always apparent. As with Oedipus, who never saw his mother again, the reasoning seems to be that if one blinds oneself to the problem, it ceases to exist. Do Psychologists apply the same Shared Parenting principles to Children of Short-Lived Relationships? 7. In a context of a short-term relationship between the parents, how should custody of a child be assessed and how should the “best interest of a child” be defined and applied in this specific context? For a child’s well being, isn’t it necessary for a child to be able to build relationship to both his/her parents? As a general rule, yes, the child should have relationships and spend time with both parents, irrespective of age. There are natural exceptions to the rule, substantiated violence and abuse with a likelihood that it will continue, or cases of severe parental alienation, where awarding custody immediately to the targeted parent is one recommended therapeutic approach. However, as it stands there are two issues with enforcement of orders. On the one hand, many fathers are outraged at the way that mothers can ignore contact orders, with little or no consequence. On the other hand, there is no enforceability about non-custodial parents spending time with children if they do not wish to. The solution to the former is a simple matter of empowering police to enforce those orders when requested, and heavier consequences for contraventions. The solution to the latter is far more obscure. Current stereotypes might have us believe that these are fathers, and that they are in the majority, however, data contradict that idea. The 2009 Family Law evaluation study by the AIFS1 found that only 17% of fathers of children under two, and 13% of fathers of older teens, were not in contact with their children, with the number dropping to 5% between those extremes. And we cannot forget that these are family law outcomes, where typically the father fights to have access to his children, and would not voluntarily walk away (barring unusual circumstances such as the case of the doubly-conflicted ICL above). Statistically, the situations where the father wishes to have no contact are more likely to arise in undisputed settings, rather than family law settings. Statistics on these cases are scarce and unreliable, so the scientist-practitioner has little to go on. A father’s only contact may be via the child support system, which does not typically gather much data about anything other than his income and his ‘early termination’, and that is in situations where he is in fact aware that he has a child. Unfortunately, it is a fairly unstudied area, however, with rising rates of out-of-wedlock children and mothers increasingly having children to subsequent partners, 2 it is reasonable to expect this number to grow. This will be especially true if current calls for child support payments to be made by the government irrespective of payment by the paying parent change legislation, particularly where there is no recourse to reimbursement in one of the growing number of cases of paternity fraud.